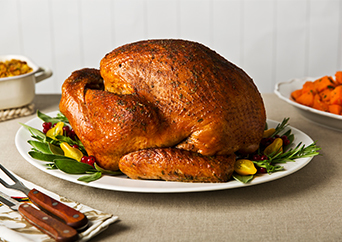 Find the best methods on everything from choosing your turkey to carving it. We have detailed tips and videos to help make your meal a tasty success. Fresh or frozen? Big or small? 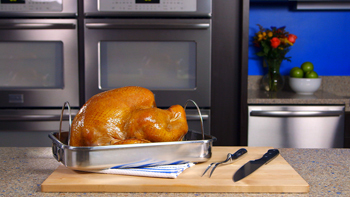 We can help you choose the right turkey for your next gathering with our how-to video. 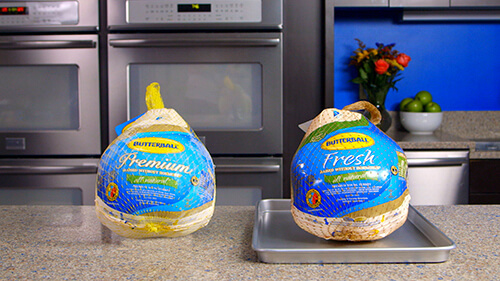 What's the best way to thaw your turkey? Let us show you how with our video. 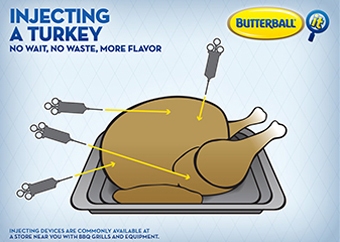 We also have instructions on how to thaw other Butterball® products. 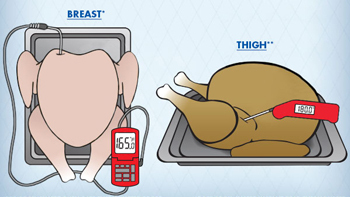 Roasting is the most common way to cook a Turkey. We have some tips to get a perfectly cooked bird. 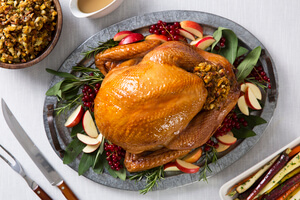 Stuffing is a favorite around the holidays, but it's important to consider food safety when you stuff your turkey. We can show you the proper method with our how-to video. Is the turkey done yet? You may have heard of lots of different ways to check. 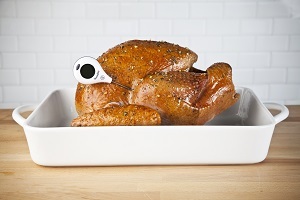 But there’s only one way to be sure: using a meat thermometer to check the temperature. 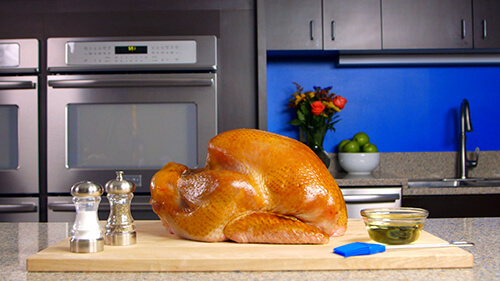 The final touch to a delicious meal is the way you carve the turkey. Don't be intimidated! We can show you the easiest way to carve with our how-to video. 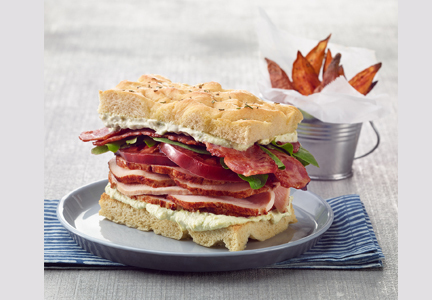 Our commitment to food safety doesn’t end when our products leave the store. 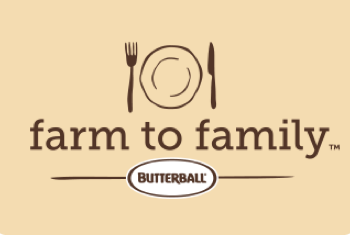 We want you to have the information you need to store, prepare, and enjoy your meal safely. Looking to add flavor this Thanksgiving? 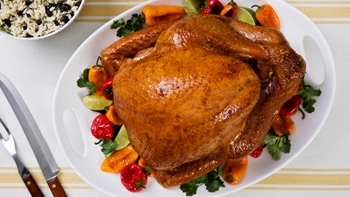 Try injecting your turkey with a favorite marinade - it's simple, easy and provides great flavor. This cooking method gives you amazingly delicious results, but it's important to follow instructions carefully when using a deep fryer. View our instructions for both electric and propane fryers. 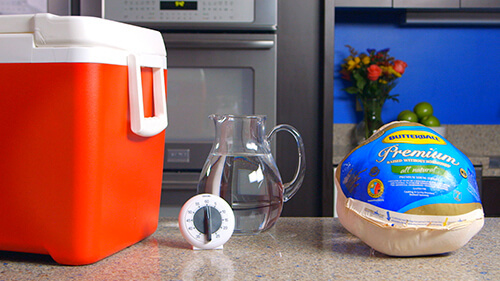 Brining can give your turkey a completely different, and delicious flavor. Let us show you how to do it with our brining recipes. When you know the basics of marinating, you can become a flavor connoisseur. Let us show you the steps and some great recipes, too. Grilling is a great way to bring friends together. 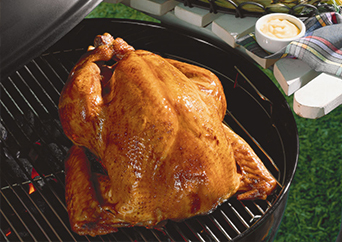 Add a Butterball® turkey, and your next outdoor gathering will become a memorable feast. An amazing smoked flavor is achievable when you follow these step-by-step instructions. And with a Butterball® turkey, all your efforts will be worth it. 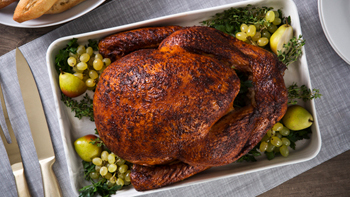 Crispy and evenly browned, rotisserie cooking will leave you with an intensely flavorful turkey thatʼs easy to prepare. 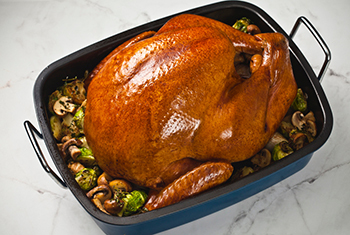 View our instructions to find out what you need to cook a crisp rotisserie turkey. 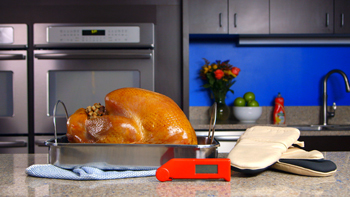 Unsure of how to check if your turkey is done cooking by taking its temperature with a meat thermometer? It’s simple. 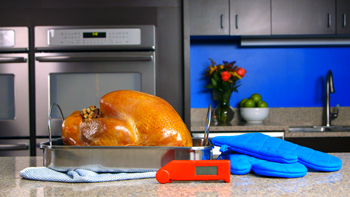 Check a few key places to know when your turkey is done. 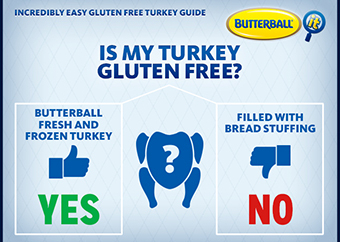 You can find many gluten-free turkey options with Butterball, but that’s not true of everything on the Thanksgiving table. Check out gluten-free recipe options this holiday. 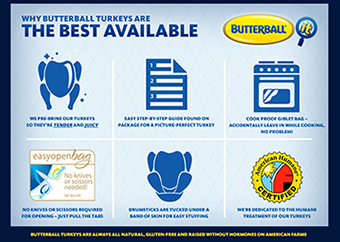 Don’t leave the most important part of your holiday meal to chance, buy a Butterball turkey!